The NDIS or National Disability Insurance Scheme is a government funded initiative to help people under the age of 65 and living with a permanent and significant disability to receive funding and support. 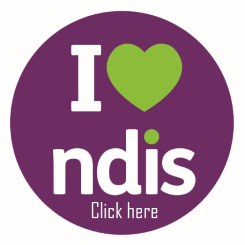 The NDIS provides information and connections as well as relevant support services to anyone with a disability via an individualised plan. These support services work closely with the participant’s careers, family members and parents of a person with a permanent disability to ensure that the social, emotional, educational, medical, physical and mental needs of a client can be met using the personalised funded plan. The NDIS oversees and monitors the way in which funding is used to ensure the support/ assistance or products provided to a person will aid them in their daily life activities to be able to more fully participate in the community.